Crystal Clear Enterprise, Inc. is now open for business in the beautiful city of Overland Park, Kansas. Now offices in the city can count on us for affordable and reliable building inspection, maintenance, and premium quality janitorial services! What makes the Crystal Clear experience wholly unique is our undying resolve to improve the level of hygiene in the facilities of our clients. 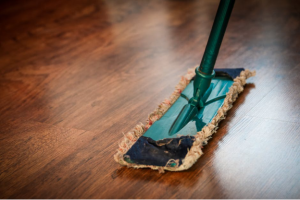 It doesn’t matter if you’re a startup with a makeshift, two-room office or a multinational with a large commercial plaza and hundreds of employees; we provide efficient and cost-effective commercial cleaning services. What makes our services so effective is the fact that we spare no expense in the training of our employees. We go out of our way to meet Occupational, Safety, Health, and Administration (OSHA) standards and make sure that our workers always comply with the latest safety standards. This allows us to do our job effectively without jeopardizing the health or safety of our clients. Our customers have found our team to be extremely friendly and cooperative – and that’s without mentioning the high level of professionalism on offer! 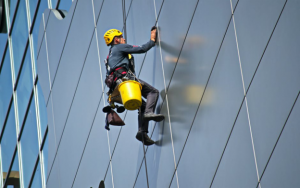 All in all, if you’re looking for reliable commercial cleaning services that are as economical as they’re effective, then we are your safest bet. So, what are you waiting for? Pick up the phone, and give us a call at (816) 763-3353. We look forward to hearing from you soon!